Oxshott is in the Stockbroker Belt of Surrey, with a population of 2,000. Luxurious houses are sprinkled throughout the village, which is surrounded by fields and woodland but only 30 minutes by train to Waterloo. Birds Hill is a private, gated estate of 270 homes, located to the north of the village. 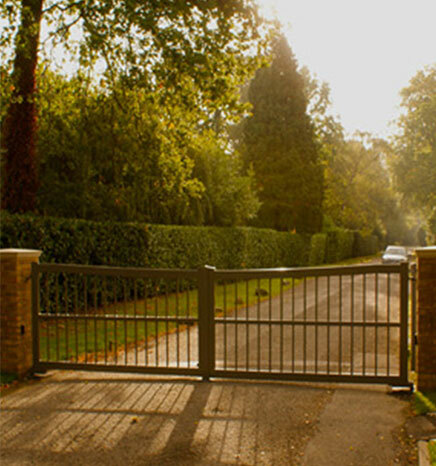 To assist with the design, supply, installation and maintenance of four sets of automatic gates for the prestigious Crown Estate, Oxshott, Surrey, to deter uninvited visitors. We assisted with the design, supply, installation and maintenance of automatic gates and supplied 370 individually coded key fobs to residents.